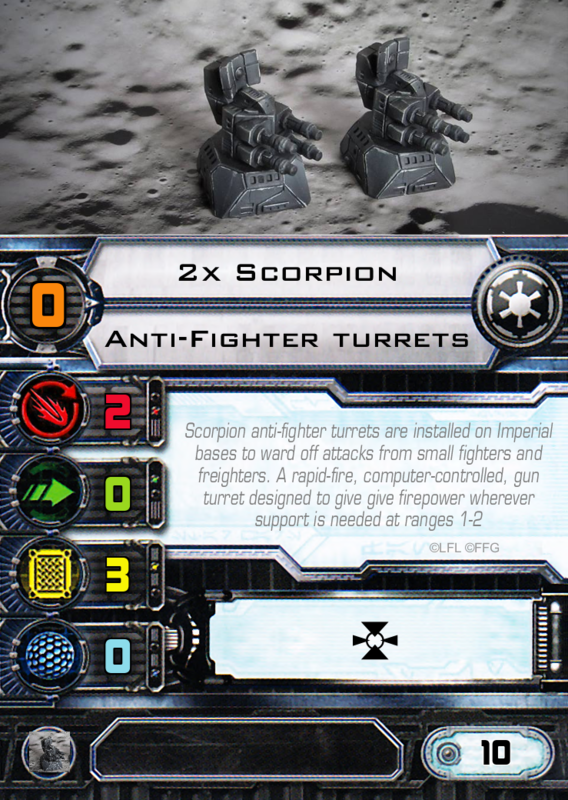 Scorpion AF Turrets contains 2 multi part Scorpion Anti-Fighter Turrets for use with Star Base scenery. Each scenery piece is made using high quality Alpha grade casting plaster. One of the highest end material with a special resin additive formula. It is a very hard, white 100% alpha plaster for use where high strength and surface hardness and durability are important. This is a much harder material than resin as it holds great detail and does not suffer from bendy sword syndrome. Every scenery piece is highly textured featuring many small details that make painting using dry-brushing and washes easy to do. All scenery pieces are supplied pre-cleaned, unpainted and sealed ready for painting unlike equivalent resins that may need to be soaked with the washing up! A bit more patience needed when building this one and I would reccomend you clean up and adjust certain fits with a fine file. But nothing says die rebel scum as a pair of these beauty... except maybe two pair of them!